By now we have requested and received three Chinese visa. 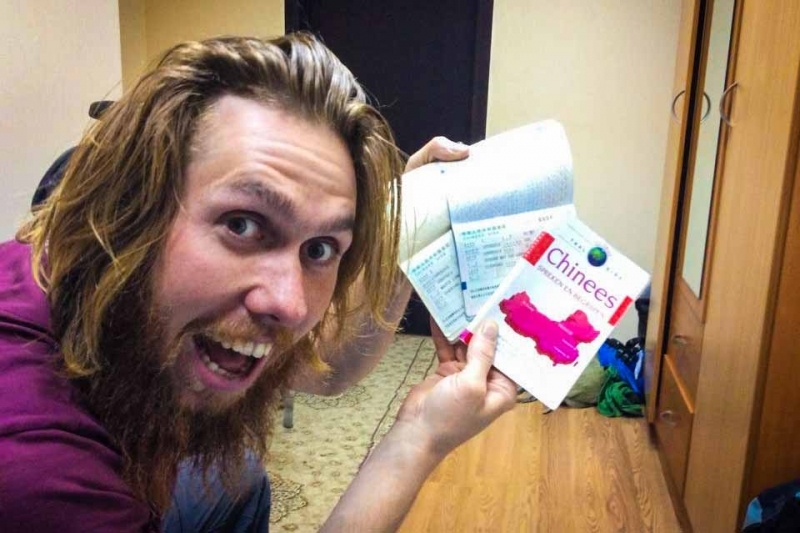 Because it has become increasingly complex over the last few years to obtain Chinese visa while on the road we thought it would be good to write a blogpost about this. To request the 30day visa in Bishkek, Kyrgyzstan we approached an agency recommended by Caravanistan. This was our first attempt of applying for a Chinese visa and was in November 2014. 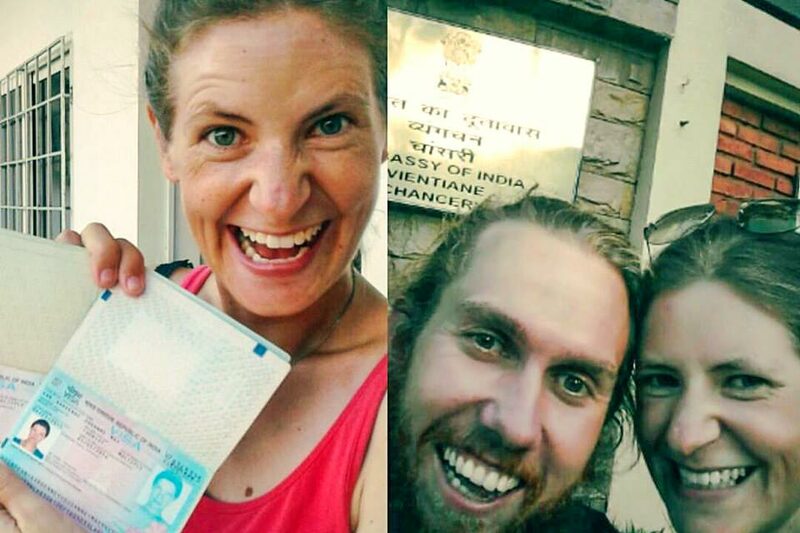 We had heard and read a lot of other travellers and wanted to make sure to get this visa. Also we had planned to go to Mongolia, so we only needed 30 days. We went to the agency at 100 Moskovskaya and paid a whopping 150$ (110 application fee, 20 urgency and 20 registration stamp). After two days we could pick up our passports with 30 day visa and we were ready to go. 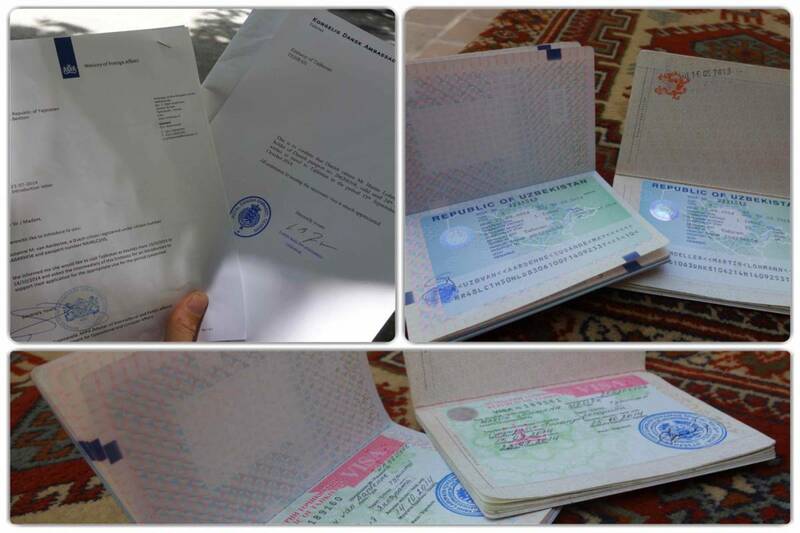 (We recently heard of a couple doing extensive efforts to request a 90day visa in Bishkek without success, we also heard of people going directly to the embassy for 30day visa with success and quite a bit cheaper). We traveled through the northwest of China in Xinjiang province. 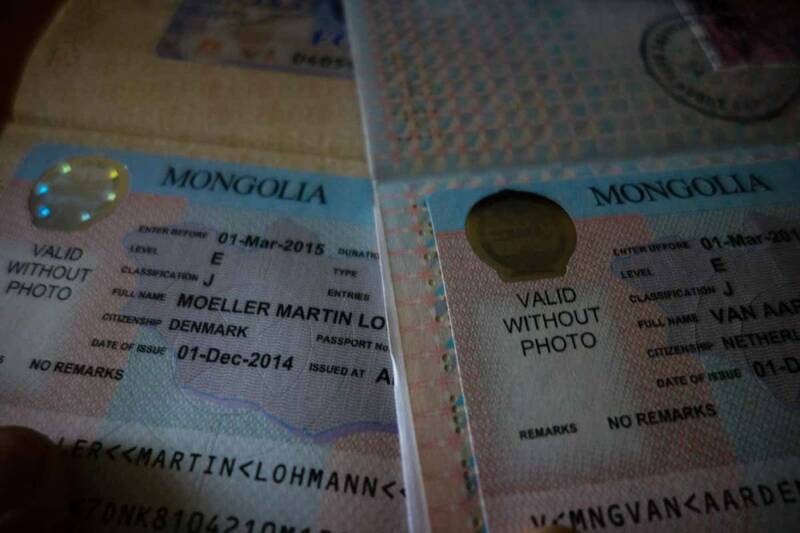 From there Martin cycled to the border in the east of Mongolia and Susanne took a train from Urumqi to Hohhot in Inner Mongolia and a bus to Ulaanbaatar. For the flights reservation there are many travel agents in Ulaanbaatar that will arrange an option (sort of reservation). They book the ticket with all your information but you don’t proceed to pay until after you have obtained your visa. When you have your visa you cancel the reservation at the agent. The agency we used was at the corner of Peace Avenue and Seoul Street next to outdoor shop Seven Summits. We had made a detailed itinerary ourselves including a visit to North Korea. We had planned to visit North Korea at the time. Payment was 60$ which we paid at the bank across the street. Pick-up was in three days and we received our double entry visa without hesitation. We cycled through Inner Mongolia, Hebei and Liaoning to Dalian, took a ferry to Yantai and another ferry to Incheon, South Korea. We didn’t use our second entry of the visa. Where the flight reservation was very easy in Ulaanbaatar, this was very hard in Seoul. We asked many agencies, but either they did not understand what we meant or they did not do flights. One agency wanted to help us but only for 10$ payment per ticket which would be 40$ total. Finally we found an agency on the 2nd floor of Hotel President next to Lotte Hotel called HIS International. They were willing to help us with a reservation for flights without payment which was very helpful. We applied on Tuesday at the application centre and received our visa on Friday with 90day visa for 55.000 KRW (49$). We feel we were lucky to obtain the 90 day visa in Seoul and that regulations are less strict here than maybe in other parts of the world where visa are issued. At the same time we didn’t shy away from doing necessary preparations and requesting the visa we needed, even though there was no information about applying for a three months visa beforehand. We cycled from Qingdao, via Xian and Western China to the border with Laos. We hope this will work for more people in other locations too!